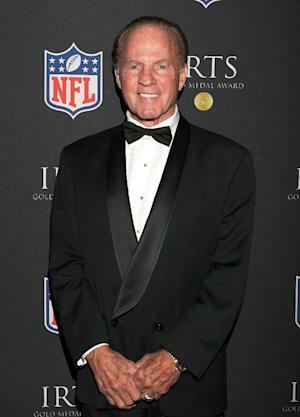 New York (AFP) – Frank Gifford, who helped theNew York Giants to the 1956 NFL title and spent decades as an American football television commentator, died Sunday, his family said. He was 84. He played for the Giants from 1952 through 1964 and was an eight-time selection to the Pro Bowl all-star game. Gifford’s wife, Kathie Lee Gifford, is a host on NBC’s Today show. They were married in 1986. Gifford made 367 catches for 5,434 yards and 43 touchdowns and ran for 3,609 yards and 34 touchdowns in his career. He was inducted into the American Football Hall of Fame in 1977. After his playing career, Gifford moved into the television commentary booth, first with CBS and later on ABC’s “Monday Night Football” from 1971 to 1997. Bob Iger, chairman of ABC owner The Walt Disney Company, recalled Gifford as a man of quiet dignity. “Frank Gifford was an exceptional man who will be missed by everyone who had the joy of seeing his talent on the field, the pleasure of watching his broadcasts, or the honor of knowing him,” Iger said. ← BREAKING NEWS! It’s Time to Stop Playing Politics with Retiree’s Social Security Benefits – SSDI Reform?